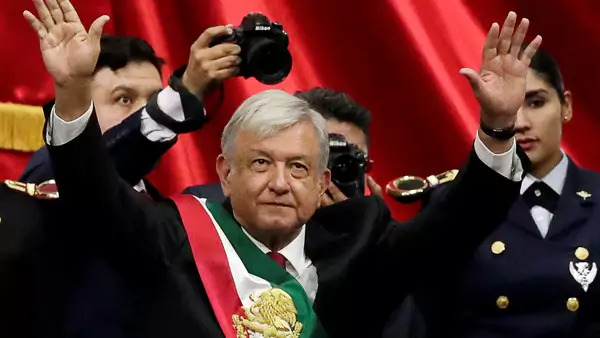 Upon assuming office earlier this week, President Andres Manuel Lopez Obrador of Mexico vowed to combat corruption and announced both a new public security plan, which includes his party’s plan to establish a national guard, and the creation of a truth commission to investigate the disappearances of forty-three students in Iguala, Mexico, in 2014. The number of Rohingya seeking to reach Indonesia, Malaysia, or Thailand by boat has grown since the end of monsoon season last month. Many Rohingya attempting to flee have been caught and sent back to camps in Myanmar, where they are in “acute need of support,” according to the UN Refugee Agency. Twenty Rohingya men did arrive at Indonesia’s Aceh Province this week. Peace talks between Yemen’s warring parties began this week in Rimbo, Sweden, the first direct peace talks between the parties in two years. The Saudi-led coalition has already agreed to ease its blockade and allow wounded Houthi fighters to seek medical treatment, and talks are also expected to cover prisoner exchanges and the state of the conflict in the port city of Hodeidah. UN Special Envoy to Yemen Martin Griffiths has called the talks a “first step” to reaching peace. During his confirmation hearing to become next head of U.S. Central Command, Lt. Gen. Kenneth F. McKenzie Jr. echoed concerns raised by Joseph Dunford, Chairman of the Joint Chiefs of Staff, that Afghan forces would not be able to defend themselves if foreign forces leave. Afghanistan suffered more than a thousand terrorist attacks last year, according to a new report by the Sydney-based Institute for Economics and Peace. Earlier in the week, U.S. Secretary of Defense James Mattis called on international partners to help end the nearly forty years of war.